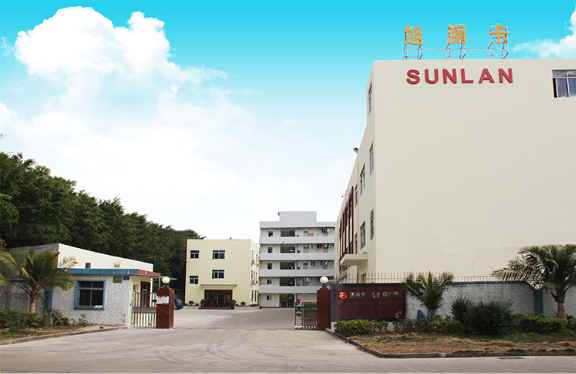 Since 2006, Shenzhen Sunlanrfid Technology Co., Ltd is one of the leading company in the RFID field, committed to manufacturing Contactless Smart Card, Contact IC Card, Plastic PVC Card, NFC Tag, Inlay Prelam. Factory is well equiped with more than 200 professional workers, 15 strict QC staff, and the most advanced working machines: Germany Heildberg CMYK printer, Germany Heildberg five color printing machine, DOD printing machine, Automatic cutting machine, 33 Automatic Inlay production lines. With ISO9001-2008 certification and professional staff, 3500 square meters factory is capable of producing 10 millions cards and 12 millions inlay per month. Quality and production speed are promised. 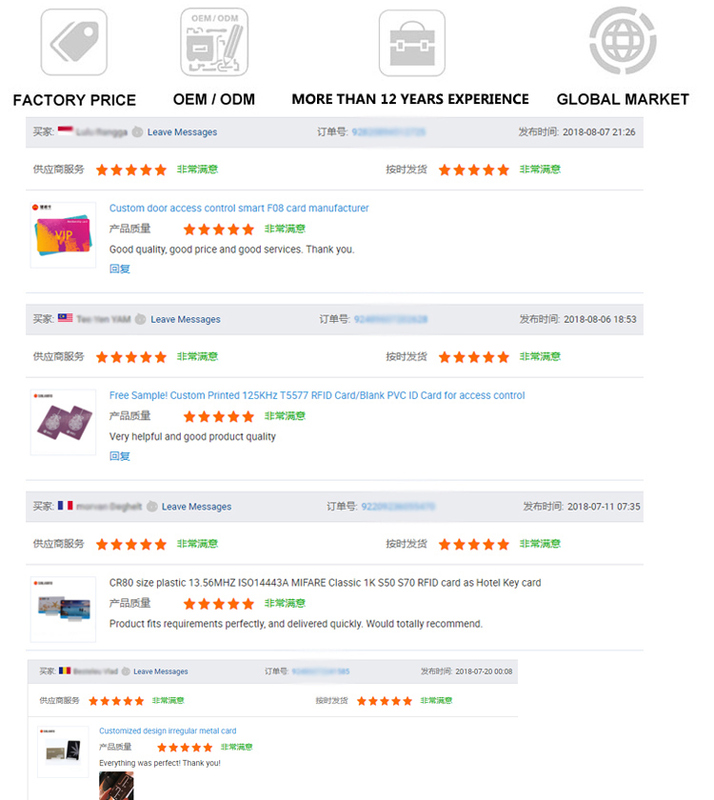 We can meet all customers’ request in different RFID products. Good service can be supported to customers around the world. * Laser Printing / Silkscreen Printing Logo / Offset Printing. * Magnetic Stripe: 2750oe hico, 4000oe hico, 300oe loco. * Punching Hole, Silver/Gold Metallic, UV Logo, Signature Panel. * Numbering: Thermal Number, UV Number, Jet Dot Number, Laser Number. * Ability to Design different RFID antenna, in different RF protocol, and frequency. * Research and design different encapsulation for special environments. * Data encoding and encryption options. * Transponder design base on correspond with customer reader. OEM/ODM Options:We can open a new mould for you, with your logo engraved on the current tag. 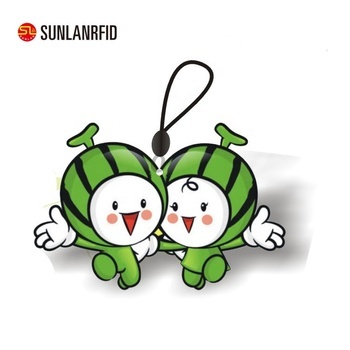 Or produce new tag completely with your design, more details please contact the sales.